President Trump left the immigration firestorm behind on Wednesday afternoon, traveling to Minnesota to meet a far friendlier crowd. Ahead of a primary campaign rally, Yamiche Alcindor talks with supporters and protesters, then joins Judy Woodruff to discuss the news that the policy reversal on family separation won’t immediately help reunite the parents and children who are already detained. At the end of this eventful day of news, President Trump has flown to the Midwest the rally some of his base of supporters. Our White House correspondent, Yamiche Alcindor, is also there. We want Trump! We want Trump! … the president landed in Minnesota to meet a far friendlier crowd. It's his first visit to a state he didn't win during the 2016 election. He narrowly lost then, and hopes his visit today will bolster Republicans here in November. There's a lot at stake: Voters will cast ballots for two Senate races, a number of key House races and the governor's seat. We can't be complacent as Republicans. Trump supporters, like 58-year-old Randy Thom, waited in line for hours. Randy traveled from his home in Southern Minnesota to attend his 33rd Trump rally. He supported the president's policy of separating immigrant children from their families. Well, they are breaking the law. They came across the border illegally. If you come across, that's breaking the law. What's messed up is, they're showing their kids it's OK to break our laws right off the bat. From trade to North Korea to the economy, Randy says he is reaping the benefits every day of President Trump being in office. My business personally has picked up quite a bit. And I attribute it to the economy growing so much. President Trump to me is the greatest leader, greatest president that we have had in my lifetime. Others who came to the rally Wednesday struck a similar tone. He's doing a great job. I was so excited to come today and potentially be up close and maybe even shake his hand. I'm proud that he hasn't backed down. I'm proud that he has stood behind what he said he was going to do. Not everyone in Duluth is as welcoming. Rich Updegrove plans to attend a protest of the president's visit. The high school teacher and Democrat sees President Trump's policies as dangerous, pointing to the administration's family separation policy as particularly disturbing. It's inhumane treatment. That's not our country. It's hard to imagine that that is really happening here to possibly 2,000 children. It's appalling. And it just flies in the face of, I think, who we want to be as Americans. Following the 2016 election, Rich is nervous about the future of his state. He hopes voters will see this election as a chance to impeach the president. We need to make sure that people see that this is not the new normal. And if you don't show up and you don't raise your voice, especially in a considerate way, you're never going to change anything. And I think we need to show, in a community like Duluth, that we have different values and that we will stand behind those values. Rich is not alone in this lakefront city. I'm here because I feel like the president is a very dangerous man. I think that he is uniting people in hate, and there's a lot of misunderstanding. And I would like to do my part to just have a voice while I can. Despite growing criticism, White House officials say President Trump plans to be on the road frequently this summer. And Yamiche joins us now from Duluth. 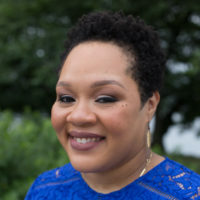 So, Yamiche, before I ask you about some of the people you talked with there today, just quickly, The New York Times is reporting tonight — they're quoting a Department of Health and Human Services official as saying that there will be no efforts made immediately to reunite these 2,300 children who have been separated from their families back with their parents. Well, that's a critical distinction. The New York Times and several outlets are saying that the 2,300 kids that are in cages and in detention centers are not going to be grandfathered into this change. The president is blaming Mexico for having even signed this executive order. So, he's already in Duluth backtracking what he signed today. But what we know is that these kids who the president said he was moved by were not — are not going to be able to see their parents any time soon. So, Yamiche, you have been in Minnesota for two days now. You have been talking with folks there. What are they saying about this reversal policy change on the part of the president? People are really torn here. They tell me that they want the president to be compassionate, but they also feel like he was — he is really caving to unfair pressure. The president really has a base here that backs him 100 percent in almost everything that he does. One man told me, though, that he is really upset that families aren't going to be separated anymore, because he says that they need to be separated because they want — he wants them to have a message to not come here, and that American culture is really on the line. However, another Trump supporter who is a mother and a grandmother told me that she really appreciated that the president could admit when he was wrong and she thought that he was doing that today when he signed this executive order. And, finally, Yamiche, what have you learned about why the president changed his mind on this, after saying there was nothing he could do, it was up to Congress? Well, for more than three years, President Trump has really been politically Teflon. He's been able to navigate scandal after scandal. But, today, he and Republicans learned that their limit was kids in cages and images of children separated from their families. The president was really trying to get behind the spectacle that the White House could not avoid. The president's wife, first lady Melania Trump, and his daughter Ivanka Trump both also spoke to the president and appealed to him to try to do something different here. The thing is, as you said at the beginning of this conversation, we're not sure whether or not this executive order is actually going to help the kids that the president was moved by. So it remains to be seen whether or not the president's executive order is going to be actually able to help these kids that Melania and his daughter were talking to him about. Yamiche Alcindor, covering the president tonight in Duluth, Minnesota, thanks, Yamiche.